Why Watch it Today? : Today is St. Patrick’s Day, and The Secret of Kells tells a story about an Irish treasure, the Book of Kells, a beautiful illuminated bible held at Trinity College in Dublin. The film is a French/Belgian/Irish co-production, with a very different feel than many other animated films. Other Choices: Previously we suggested John Ford’s classic ode to the Ireland of Irish American myth, The Quiet Man, and The Return of Sabata, a Spaghetti Western which features an Irish clan obsessed with their gold. 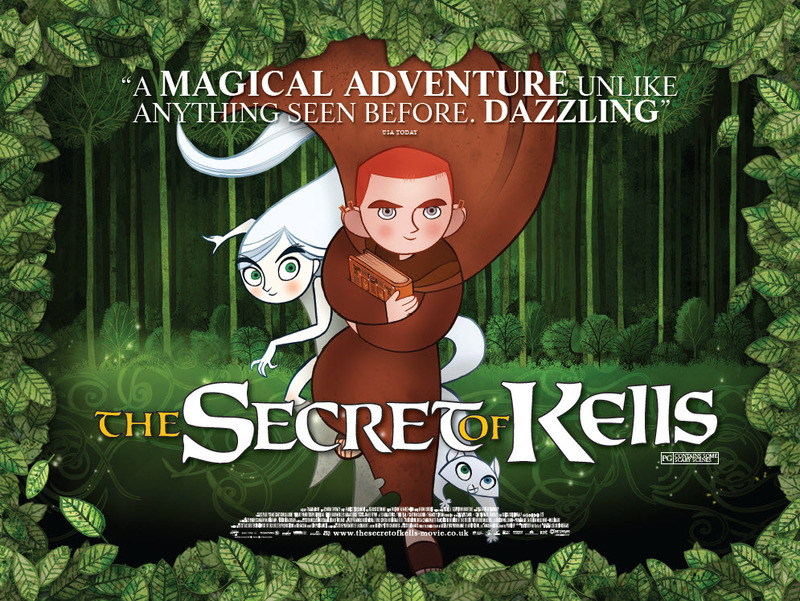 This entry was posted in "Based on a True Story", "Foreign Film", Adaptation, Animation, Arthouse, Coming of Age, Family, Fantasy, Movie of the Day, Period Film and tagged Belgium, Best Animated Film Nominee, Brendan Gleeson, co-production, fairies, France, Ireland, Middle Ages, monastery, monks, teens, Vikings. Further proof that traditional 2D animation is such a powerful way to tell a story. 🙂 For myself, it will always be superior to 3D animation.